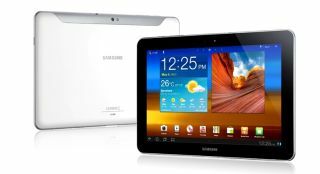 In the never-ending patent war between Samsung and Apple, the former has struck a blow with the latter's failure to have the Galaxy Tab 10.1N and Galaxy Nexus banned in Germany. Apple had been seeking a judgement to ban Samsung's latest smartphone and its already-tweaked tablet from sale in the country. In what could prove to be a telling verdict, the German judge ruled that Samsung has proved that the technology existed before Apple was able to patent it, hence invalidating its infringement suit. Munich Regional Court Judge Andreas Mueller said: "Samsung has shown that it is more likely than not that the patent will be revoked because of a technology that was already on the market before the intellectual property had been filed for protection." Apple's challenge in Germany focused on getting the Samsung Galaxy Tab 10.1N banned from sale, saying it was unsatisfied with Samsung's court-enforced design tweaks. The ruling keeps the 10.1N safe from persecution, which will be a welcome verdict for the Koreans following a decision from a Dusseldorf court that the original Galaxy Tab 10.1 and 8.9 remain in violation of Apple's IP.